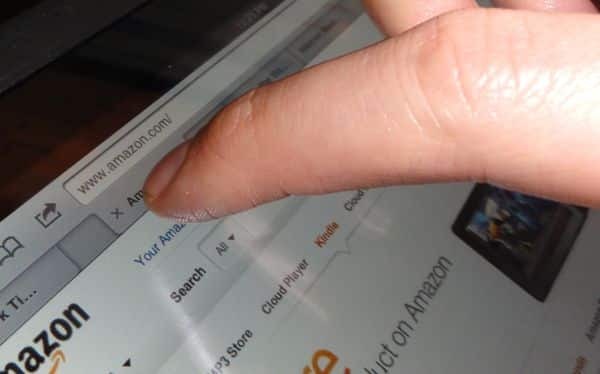 Tired of playing “peek-a-boo” with the bookmarks bar on Safari for iPad? Wish you could arrange your browser tabs any way you want? Want to control the behavior of new tabs? Help is here. Anyone who uses Apple’s Safari desktop browser is probably used to seeing the bookmark bar—a handy row of bookmarks that sits between the web address bar and your browser tabs. So, wondering why Safari for iPad doesn’t have its own address bar? Well, here’s the thing: it does, but it’s easy to miss. By default, the address bar on Safari for iPad will stay hidden until you open a new tab, and it won’t appear at all if you don’t have any bookmarks saved in the “Bookmarks Bar” section of the bookmarks menu. So first, try adding a new bookmark to the bookmarks bar (if you haven’t already, that is). In the pop-up that appears, look at the setting at the bottom of the window; does it read “Bookmarks Bar”? If not, tap it, then tap your way to the Bookmarks Bar folder. All set? Tap the blue “Save” button. 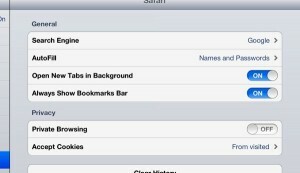 Want the bookmarks bar to be visible at all times on your iPad? No problem. Now, open a new browser tab by tapping the little “+” icon in the top-right corner of the screen—and once you do, you’ll see your bookmarks bar, complete with your new bookmark. Go to the iPad’s home page, tap the Settings icon, then tap Safari in the left-hand column. When you return to Safari, you’ll now see the bookmarks bar at all times—and that’s my preferred setting, by the way. Want to change the order of your Safari tabs? On the desktop, you do so by clicking a tab and dragging it wherever you want to go. So, can you guess how it works on the iPad? Yes indeed—just tap, hold, and drag any browser tab left or right (as pictured at the very top of this article). On the iPad, you can open a web link in a new tab by tapping and holding it, then selecting “Open in New Tab” from the pop-up menu. Nice, but you can also choose how you’d like that new tab to open: either in front of your other browser tabs (if you like seeing a new tab right away), or behind them (if you prefer to view new tabs after you’ve finished reading the current one). You can change the behavior of browser tabs and the bookmarks bar from the Safari settings menu. Go to the iPad home screen, tap the Settings icon, then tap Safari in the left-hand column. Under the General heading, find the “Open New Tabs in Background” setting; select “On” to make new browser tabs open behind your other open tabs, or “Off” to make new tabs open right in front of you. Looking for more iPad tips? Click here! Many thanks to reader Reesa for suggesting these tips!